At DTM we rebuild all makes of automatic transmissions, whether it be a 2 speed Powerglide or an 8 speed ZF, we have the ability to repair your unit as required. With over 70 years of collective experience in transmission rebuilding we are your premier transmission repair centre. On standard rebuilds we offer an industry leading 3 year/60,000km warranty giving you piece of mind. We pride ourselves on our work and the results speak for themselves. We have customers from all over the country, a testiment to our quest of providing the highest quality product. Transmission internal components must be cleaned when rebuilding, we use ultra sonic processes to ensure utmost cleanliness. 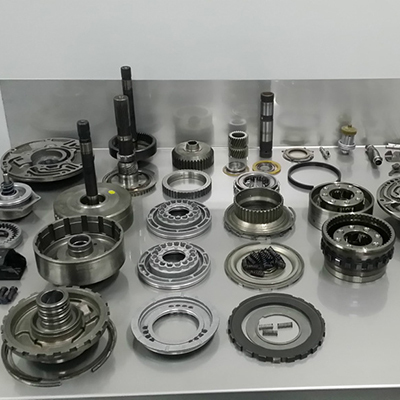 We source the best components available for your transmission and utilise OEM parts primarily. Here is a sample shot of a TH400 transmission at our shop during the rebuild process.